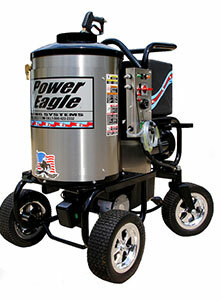 The Power Eagle SS Series is in our premium line of hot water pressure washer. We built the most innovative chassis on the market featuring our exclusive “Super-Steer” technology for total ease in maneuverability. 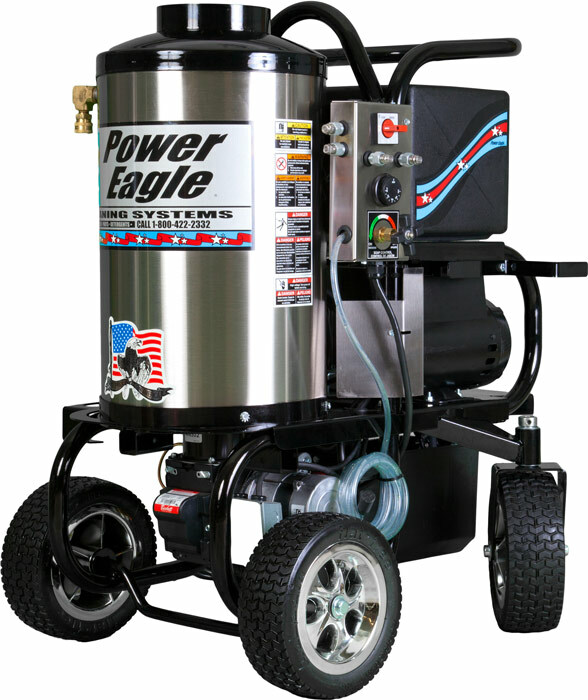 This machine is everything you’d ever want in a hot pressure washer. The SS Series is feature packed and designed to save you money by reducing downtime, minimizing maintenance needs and maximizing productivity. Featuring our Power Eagle Clutch-Drive Pump Protection, which saves your pump from damage caused by excessive idle times. 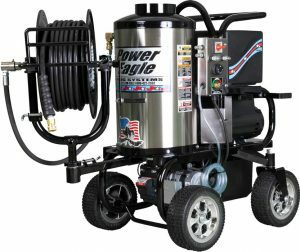 Includes flat-free tires & corrosion-proof wheels, and our new float valve design eliminates overflowing float tanks… just to mention a few items. 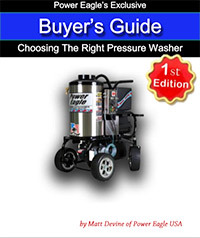 Check out the most innovative pressure washer chassis on the market. A perfectly balanced 4-wheel design with 360 degree rear caster wheels with flat-free tires. 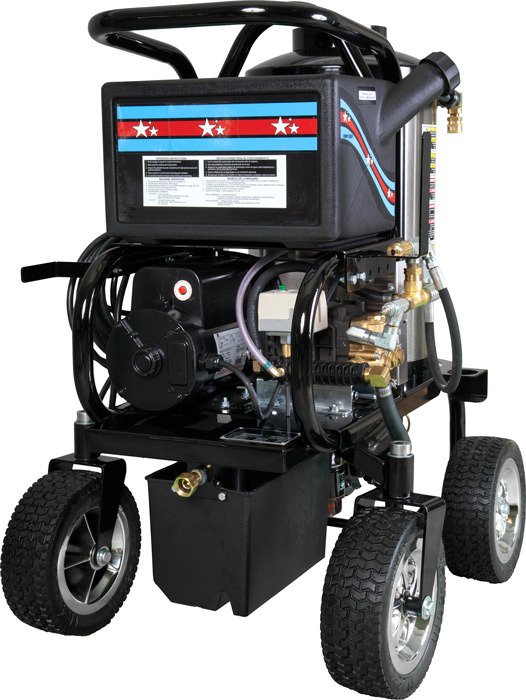 Available with belt drive pumps, clutch drive pumps and clutch-drive units with an automatic shutdown timer.